A new law signed by Governor Phil Murphy in August of 2018 was effective immediately and drastically changed the Vote by Mail rules in New Jersey. One of the changes involves how a voter can apply for a Mail-In Ballot. Before the change in the law, a voter had three options on the application. The voter could opt to receive a Mail-In Ballot for one election, all elections in one calendar year, and all future general elections. Now, a voter has only two options for voting by mail. A voter can request a Mail-In Ballot for one election or for all elections every year until the voter opts out in writing. 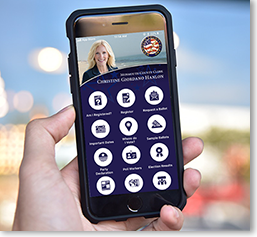 Voters can download the updated Vote by Mail application from our Elections Website at www.MonmouthCountyVotes.com by clicking here and from the County Clerk’s free Monmouth County Votes Mobile App, which can be found on the Apple App or Google Play stores. 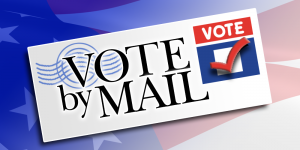 Most importantly, the new law mandates that all voters who voted by mail in the 2016 General Election be sent a Mail-In Ballot for all elections. If these voters do not want to receive ballots for future elections, they must notify me in writing to opt out. Please click here to download an opt out form that you may complete and either e-mail or mail to my Elections Office to opt out of receiving a Mail-In Ballot for future elections. It is important to remember that, according to State law, any voter who receives a Mail-In Ballot will not be permitted to vote on a voting machine on Election Day. Voters will either have to utilize the Mail-In Ballot they receive or vote on a paper provisional ballot at the polls on Election Day. I apologize for any inconvenience these changes may cause you, however, we must comply with the new State law. If you have any questions about the Vote by Mail process or about the new law, I encourage you to contact my Elections Division at 732-431-7790 or ClerkofElections@co.monmouth.nj.us.